Today how often do you hear” YES” whenever you or anyone asked for some help or some work ? It may puzzle you to think about the above statement, but seriously isn’t the word “YES” heard very rarely today in office or among your friends and family . Its true indeed , a lot of thoughts flood our mind soon after someone asks us for a favor to resolve an issue, to take up some task, to volunteer for some work, to assist in some activity, do an extra piece of work, or just anything, we are full of fear and feel so heavy, burdened , stressed and fixed in a dilemma what to say a Yes or a No..
What happens then is that we simply say a No where we could have chosen a YES to do or perform some thing that could have had new learning opportunities for us or even bring us goodness by doing something for the others and make us feel great. “why do you say No to everything yaar at least you can do one thing in a day” ? To this she conveniently replies..
Hmmmm smart enough but is it right to say No so frequently and where does it take you or this world , Imagine where you approach anyone for help and all you get to hear is NO, NO, NO from everyone . Isn’t it a sorry state a world full of inhuman’s . ‘No’, carries lightness, freedom, carefree, relaxed, unburdened etc feelings. But there is more to this No, where many of us who blindly or even bluntly reject a plea or request by someone who approaches us for something with some work or for help we tend to make excuse or just flatly say the word, and feel relaxed that we are smart or made a great escape, but actually we lost a good opportunity to create a mark in the lives of others and mostly ourselves, where it could contribute to our own growth and many a times sincere people may even feel guilty for not having helped someone and may lose on a goodnight sleep. In view of the above many should think, about saying YES as a positive influence in their life that entails the provision of nurturing so many more positive traits . But things dont end here in religiously following this Yes, there’s a way to practice it and apply it for the betterment of self and others as well. Thereby some discouraging factors that follow Yes are there, where one may be subjected to unscrupulous tasks being loaded over them at workplaces or among the peers,and no doubt its true because our society makes indiscriminate use of those who say Yes and label them as fools forever, who does all the work and can be given more as he/she may never use the word NO. The bottom line here is to make Best use of Yes so that it doesn’t discourage or depreciates your value or identity in any way and helps in facilitating your positive personality growth and inner peace that contributes to your spiritual, physical and mental well being. 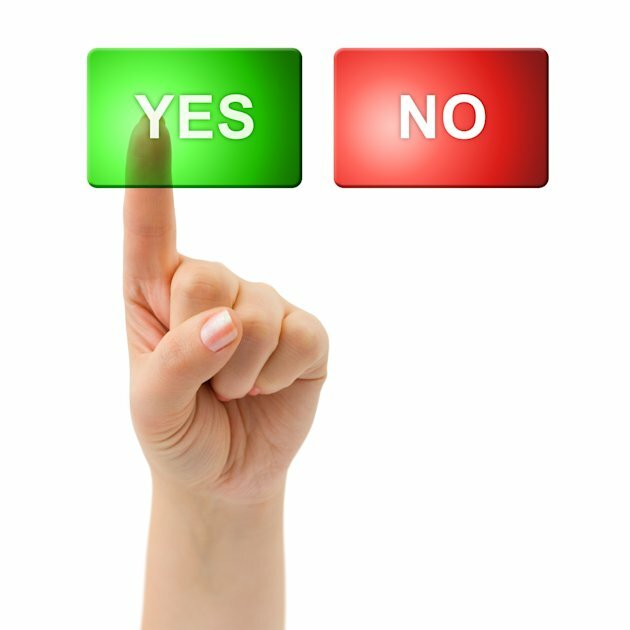 If you find that a particular situation of person is indefinitely using your abilities and taking advantage of your approvals then you can pleasantly say No, it doesn’t harm you or the other as they will get their work done if not from you than any other one for sure. The Yes word is not something to feel pressurized about rather its a very Humane and magnanimous way of presenting yourself among others that makes you unique and stand out . So just Click on the Button Yes and reset your life to the old self you were always like a kid who embraces Yes every time be it dark or sunshine. Procrastination is the Thief of Fortune ! The good thing about doing a task today is that you dont have to do it anymore again nor mentally or physically, that many people often have to do when they procrastinate a task. Physical or mental lethargy, fear of failure, lack of priority, having much time for closing a task, lack of willingness to do, monotony of the task, more work .etc. Whichever reason is responsible for the delay is not important but what is important here is if this Procrastination delays realizing goals and thereby delays Success and it can necessarily happen at work place or at home . At workplace procrastination can create a very unwanted environment that may create your bad impression among your colleagues , managers and bosses who can take away good projects away from you even if you are a good employee, doing work late and making terrible excuses can rob you off your time, potentials, happiness and success. It creates a series of troubles for you for instance getting up late 10 minutes , skipping breakfast, reaching late for work, scolding form the boss, bad mood degrades efficiency and interrupts work and leads to further delay in completion of assigned tasks. 2 Finish the task as and when assigned. 3 Think it as the right time to attend to it and no time is good to get over with it other than NOW. 4 Be lively and punctual . 5 Make notes in the diary or even keep reminders in phone . 6 If you have a task at hand keep time and date deadlines for their completion . Remember nothing is best than to have a feeling of getting over with the work NOW than later it increases your efficiency, creates a good impression, gets you success and keep harmony with boss, managers, colleagues and even with your spouse for a healthy and beautiful relationship. You CAN Succeed with Collaboration . Today I read about “being cooperating or collaborating which one influences success” an article by Danial burrus . I agree that people in different situations of life or workplace pick any one of the above and apply it as and when required. Cooperation in some ways is subjected to want and compliance merely to be part of the team or work one has to perform , whereas Collaboration is a completely positive term where the person is willingly being part of the situation or work even if there is presence or absence of some interest of the individual involved in those. Success majorly depends upon the amount of interaction and commitment of the individuals involved in the task who facilitate group cohesiveness, where they collaborate to achieve a certain goal. For instance there can be a workplace where a particular assignment is given to two different teams where one team cooperates and another collaborates to complete it. Cooperation : the team lacks motivation, its more about the willingness of the members involved, social loafing becomes prominent , no clear vision and goal orientation, lack of involvement and devoid of challenges. Collaboration : its positive in outlook, motivation among members, team spirit, goal oriented, focus on goal and completion of assignment. Collaboration is a more social and positive term than cooperation where individual love to willingly work for the benefit of others or themselves in a serious manner where the goal is not deprived of motivation or carelessness.